The Zambian Chronicle has learnt that Patriotic Front -PF- leader, Michael Sata will contest the 2,011 presidential elections despite people’s assertions that he is too old to run affairs of the nation. Mr. Sata revealed that he arrived at the decision after many young people he wanted to groom disappointed him because they were just interested in money and not what the party stood for. The PF leader declared his intention to context the 2011 elections at a rally he held at Senama Market in Mansa on Sunday. Mr. Sata was accompanied by Chimwemwe MP Willie Nsanda, Chililabombwe MP, Esther Banda and other PF officials from the Copperbelt The Luapula Province PF leadership has already endorsed Mr. Sata as its Presidential Candidate for 2011 elections. And Mr. Sata said out of the nine PF MPs in Luapula Province, only two have remained loyal to the party. He said in the 2011 general elections, PF would give chance to its members to nominate Parliamentary candidates. And war crimes judges have rejected a request to acquit Liberia’s former President, Charles Taylor, on charges of crimes against humanity. Mr. Taylor’s defense team argued that there was not enough evidence for the trial to proceed. The decision by the Special Court for Sierra Leone at The Hague means that Mr. Taylor, who has pleaded not guilty, must now present his defense. The trial is scheduled to continue on 29 June. Charles Taylor faces 11 charges of war crimes and crimes against humanity over his alleged role in the brutal civil war in neighboring Sierra Leone. He is accused of backing rebels in Sierra Leone who are responsible for widespread atrocities. Apparently, Bashi Chilufya does not know that you don’t groom someone to take over in nine months. Strategic leadership takes a serious look at the immediate pool of subordinates and or peers, look at how much they have bought into you and start growing them to be heir without anybody else knowing. This usually takes an average of 2 – 5 years until you are very sure they speak more like you, they think more like you and they act more like you. If ever they were to be asked a question in your absence they would answer it more like you personally would because they know where your heart beat lies. 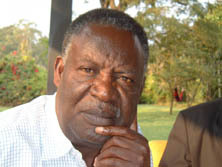 But who can Mr. Sata point to with pride that if he was to drop dead, that individual would take over from him? Boulogne, it a bunch of bull; if he wants any one to take him seriously that he has been trying to groom anybody to take over from him. As far as I can see, Bashi Chilufya wants to be the man, and has no interest in handing over … typical of African leadership. It is his constitutional right to stand and no one should denigrate him for that but please don’t you tell us you have been looking and can’t find a suitable successor. You will always find your heir if you looked well enough, you will always find your heir if you picked the right people to start with, and if one is not in your immediate circle find one outside your comfort zone … thanks a trillion. You are so right man. I think I totally agree with you. Most of these tired politicians think they can lie to us just like that. I don’t think if one has been looking like you said, they would not find someone to take over. This business of holding on to power makes us feel like these guys think they are the only ones to save Zed. There are way too many Zambians out there. … most times you can achieve this objective by just being observant with half your brain tied behind your back; but it takes leadership to identify leadership anything else gets scared of leadership when seen from without … thanks a trillion.